Chinese new year is the most important public celebration in the Chinese calendar. It is also a holiday opportunity which allows everyone to return to their families in the respective regions. This long vacation also allowed me to work on this new blog and plan my job search (I’ll write an article). And class started again yesterday with, in particular, one class which may well be one of the most interesting of my MBA experience and which tells me that coming to Tsinghua for double degree was really the right choice. I’m talking about the class of “China and the World Economy” of Li Daokui. To have the opportunity to follow a class with someone as important is always a great chance, but here I think I could not have dreamed better to learn about the mechanics on China’s economy. 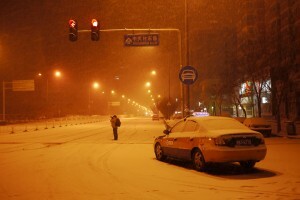 This year has been a very dry winter in Beijing with what could well be the worst drought in a century. I, like other people, felt a great sense of joy when I saw my neighbourhood blanketed in white. It’s great to hear the children play snowballs. 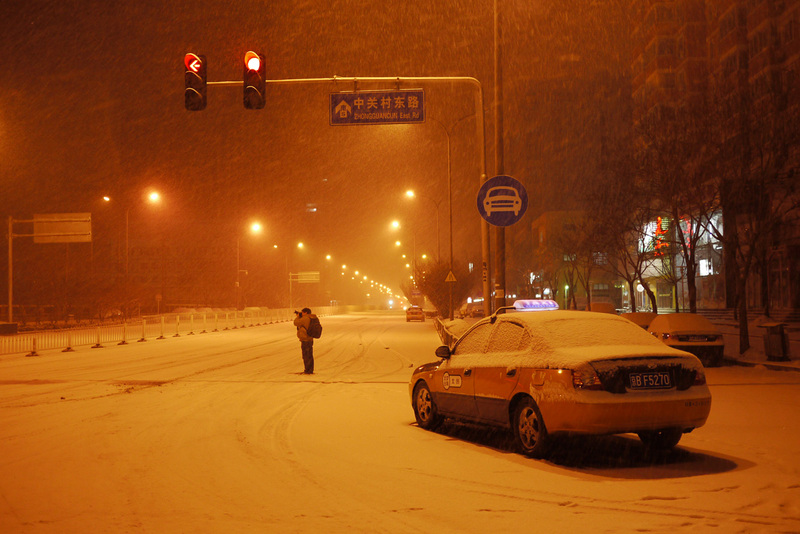 But, wow, snow in Beijing is really something! PS: You may have noticed but I changed camera… My pictures will now be in a 2/3 format. As you noticed, I have sort of let down my blog since I arrived in China. The reason is that I had dificulties, intellectually, to write a feedback about China and Tsinghua in a blog titled HEC MBA. So here’s the start of a new blog which will take into account both sides of my story. like my transition from France to China. like my quest for asian wisdom. 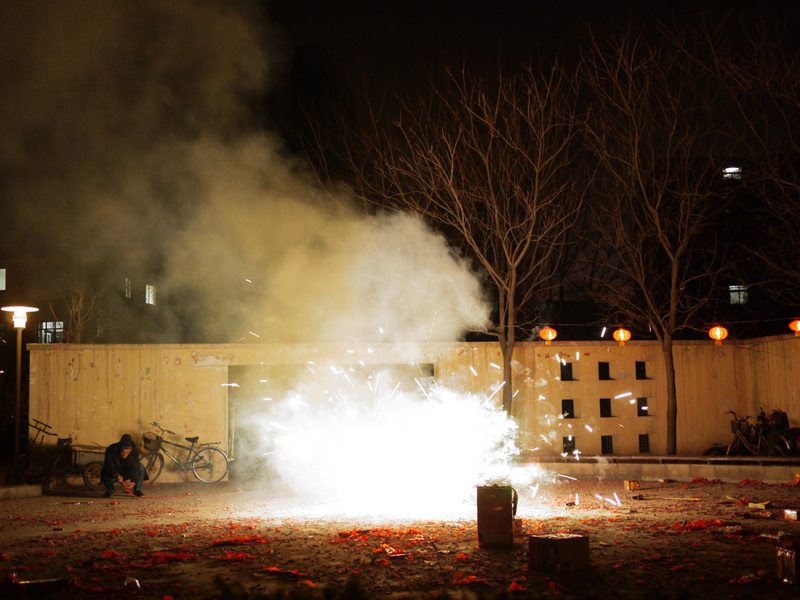 And what a better day to start this new blog than the Chinese New Year ?